It was what is expected for the price.. I recently purchased an Acura from Ron Tonkin and really glad that we had Samuel and Marcus as our sales! Marcus greeted us immediately when we got in and introduced the car we wanted which gave us a very good impression about Ron Tonkin Acura. He is very knowledgeable about the cars and answered every question we had. Samuel is passionate about his job and really experienced. They were very patient and waited really long for our decision. If you ever want to buy an Acura in the Portland area, definitely go and find these two people! This was my second visit to Ron Tonkin Acura, as I just traded in my 2017 Acura for a beautiful new 2019 TLX . The whole experience both times was FANTASTIC! Outstanding customer service . Shawn Freeman my Sales representative worked with me and the rest of his team to make the deal run very smoothly. Shawn followed up on all of my requests and answered all of my questions . Shawn went over all of my new cars features with me in detail, which I appreciated. The whole Tonkin team has always gone above and beyond for me every time ! I couldn’t be more happy.Thanks again to the whole Ron Tonkin Team ! 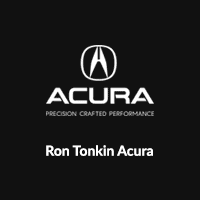 We recently purchased an Acura at Ron Tonkin. We had the pleasure of having Samuel Kim as our salesman. Samuel was helping us with the car purchase decisions. Our first impression of Samuel was he was very excited to have us as customers and very knowledgeable about automobiles. He was very responsive to the questions and was able to offer experience backed input when needed. Samuel was awesome from the beginning of the car selection process, through the car driving experience.We were very lucky to have Samuel as a car salesman and look froward to being customers for life. Great lobby, waiting area. Great amenities and Wi-Fi. The service took the time they quoted. Great experience. Another fantastic car buying experience at RTA. Shawn Freeman is always fantastic to work with. He is a constant professional who is so knowledgeable about the Acura line. Shawn takes the time to ensure you get exactly what you are looking for. Love my new TLX!